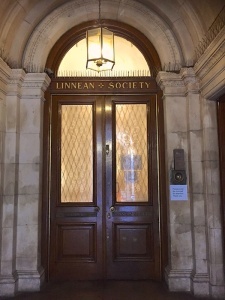 Last Wednesday I gave the Student Lecture at the Linnean Society in London. 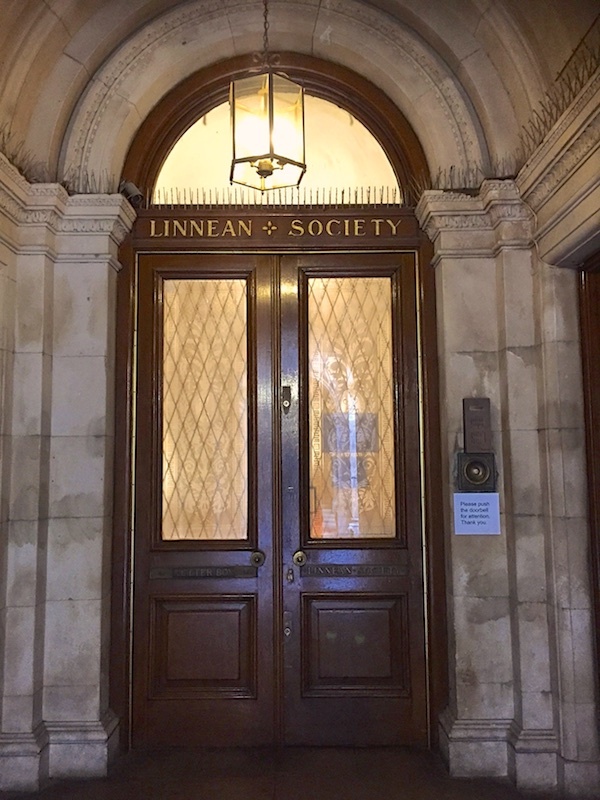 It was a great honour for me to be invited to talk at this wonderful society, which is the oldest active biological Society in the world! My hour-long lecture was mainly aimed at students with a general biological background. I therefore made a much broader talk about my work, which is a nice change from all the conference talks the last year. 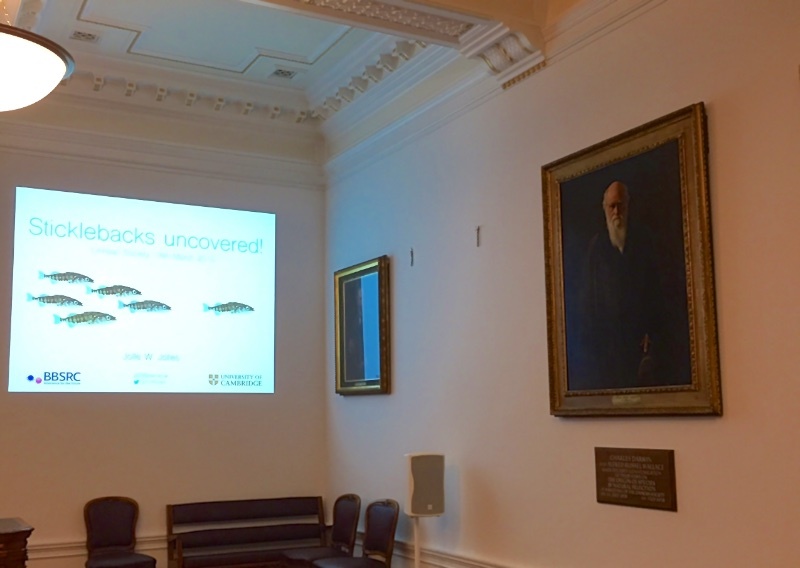 I talked about a range of things, from how I decided to be a scientists and what fascinates me in the natural world around me to why I study sticklebacks to study these questions and how to do behavioural experiments. 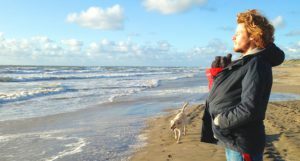 I then discussed the various experiments I have done to investigate the role of animal personality in collective behaviour. 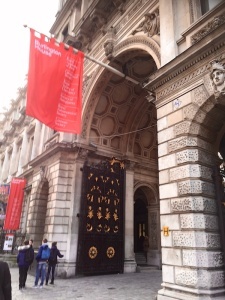 It was great to see so many enthusiastic students with very bright questions at the end that hopefully got inspired by my talk to become zoologists themselves. My talk should become viewable online next week so check back soon! 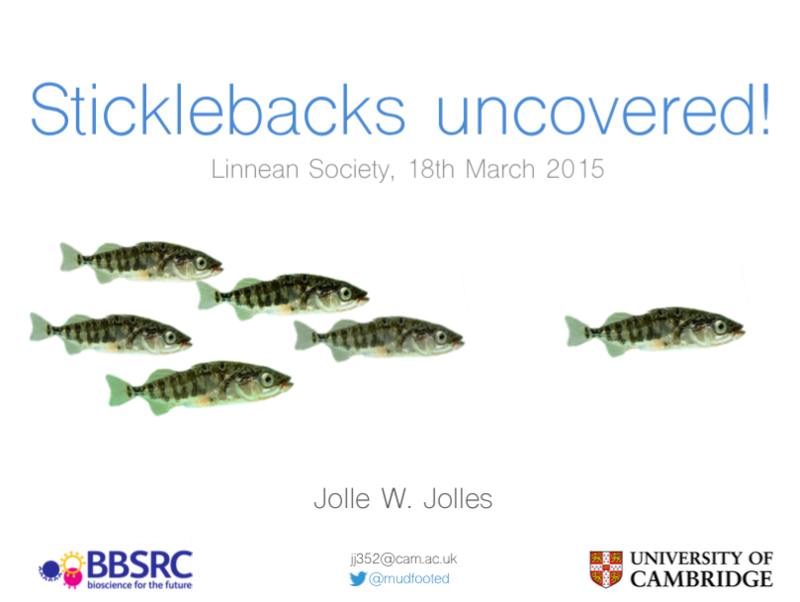 Today I took a new video of the stickleback in my lab to use to talk about my work and these amazing fish during public lectures and conference presentations! What you can see really well in this short little video is the large morphological and behavioural variation of the fish. Despite being similar in age the fish are quite different in body size as well as their colouration. Also pay attention to the spines, you can see individual fish often raising their spines at the moment they feel threatened by my presence.